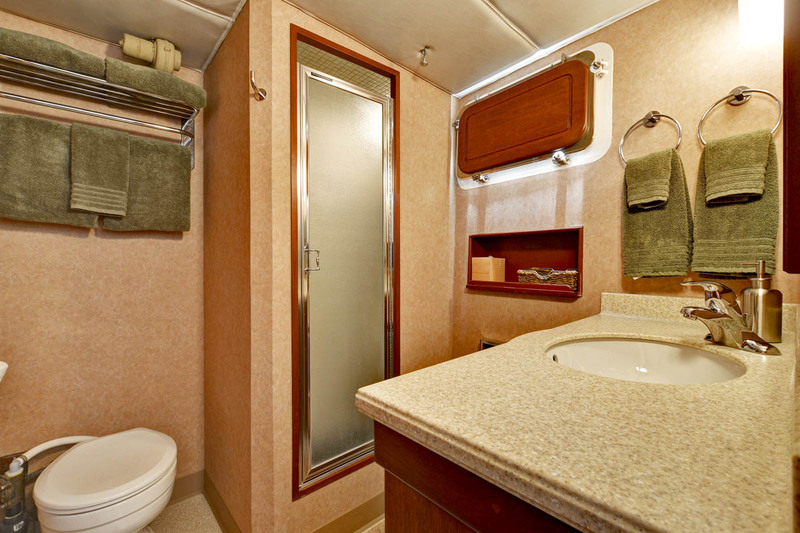 "Chinook" Stateroom with full size twin beds and ensuite bathroom. 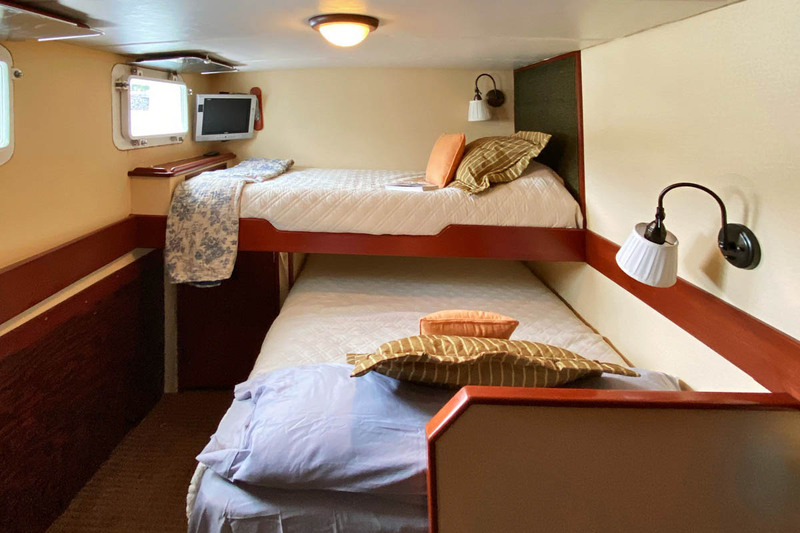 The lower bed in the "Chinook" Stateroom is being changed to a double bed. 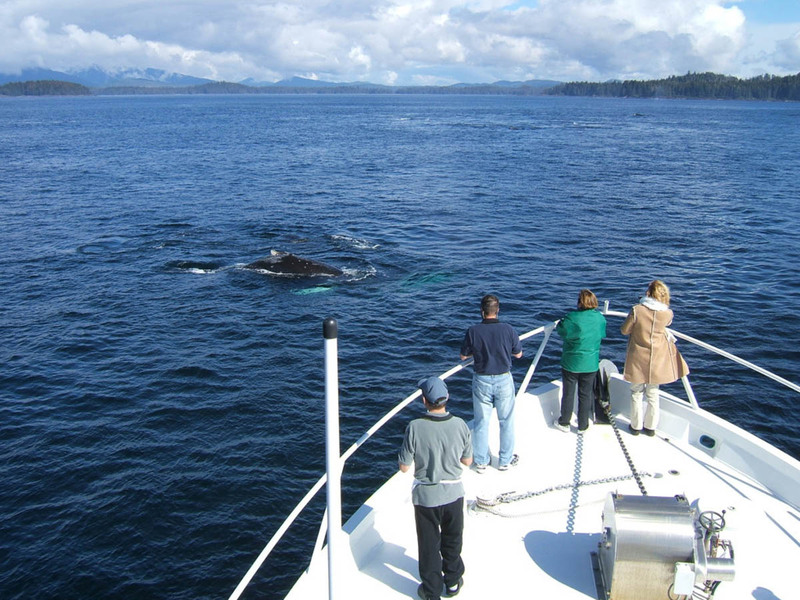 Sighted throughout Southeast Alaska, adult female humpback whales average 49 ft (15 m) in length and weigh approximately 35 tons. 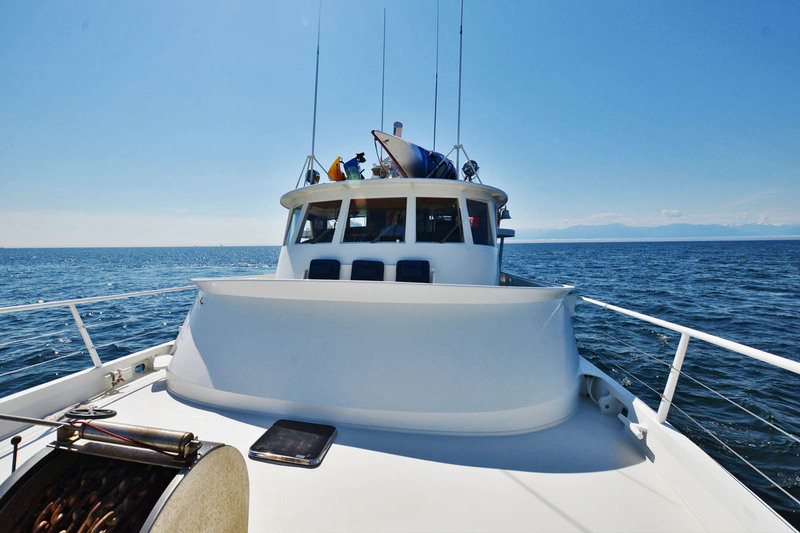 Males are slightly smaller. 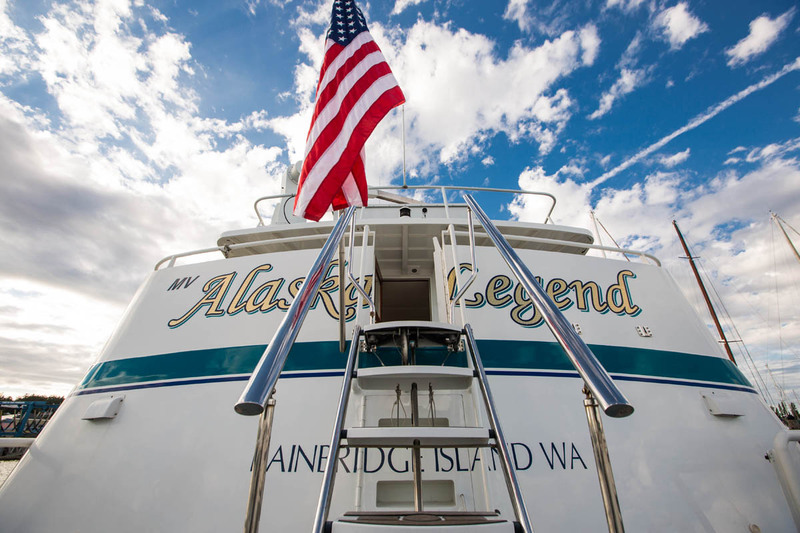 Built in Portland, Oregon the long-range cruising yacht ALASKAN LEGEND was designed and built to be a luxurious, ocean-capable yacht. 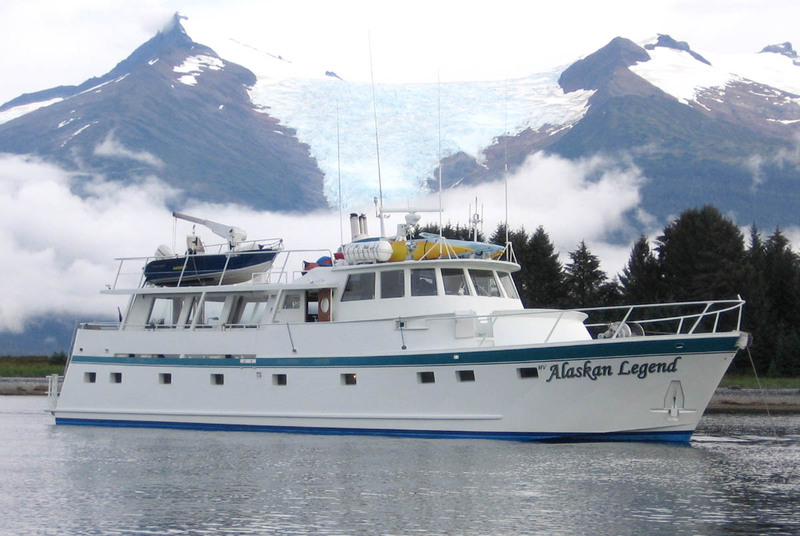 It is a proven veteran of the Pacific Coast having cruised the waters from Alaska to Mexico. 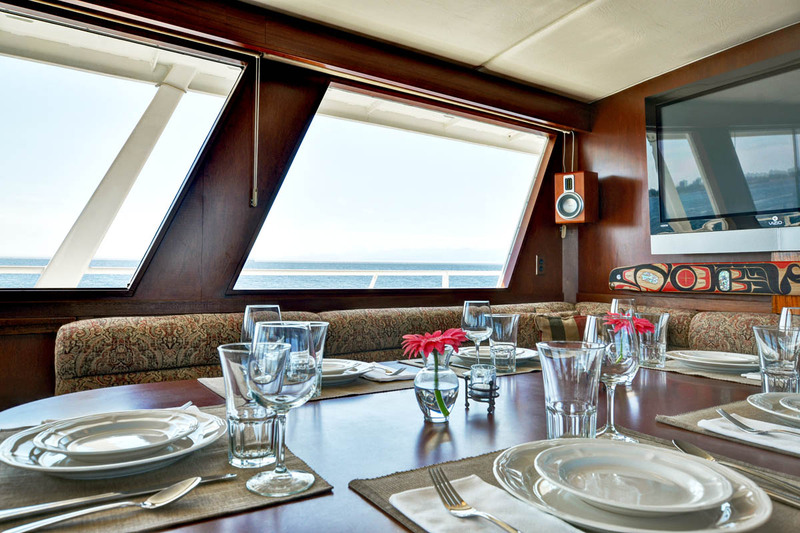 The interior has been recently redecorated by professional yacht interior designer Marci Collins to accommodate guests in true luxury and comfort. 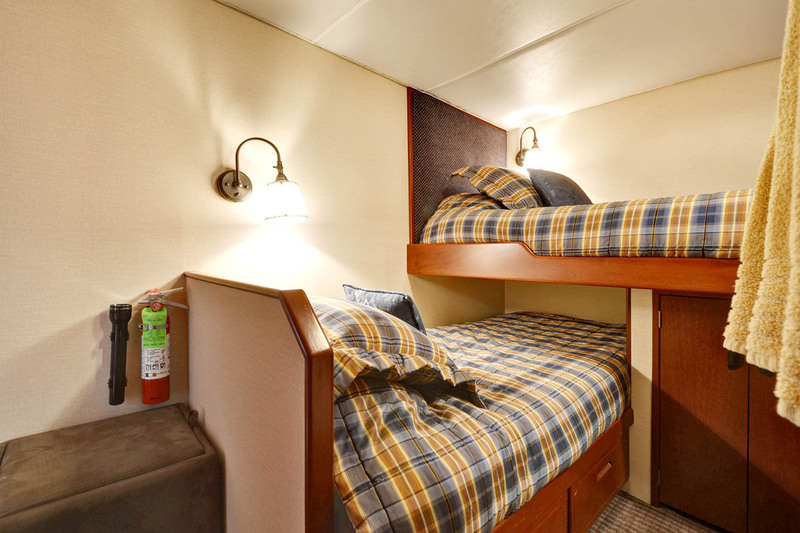 The four guest staterooms were refitted with en suite facilities and offer double occupancy. 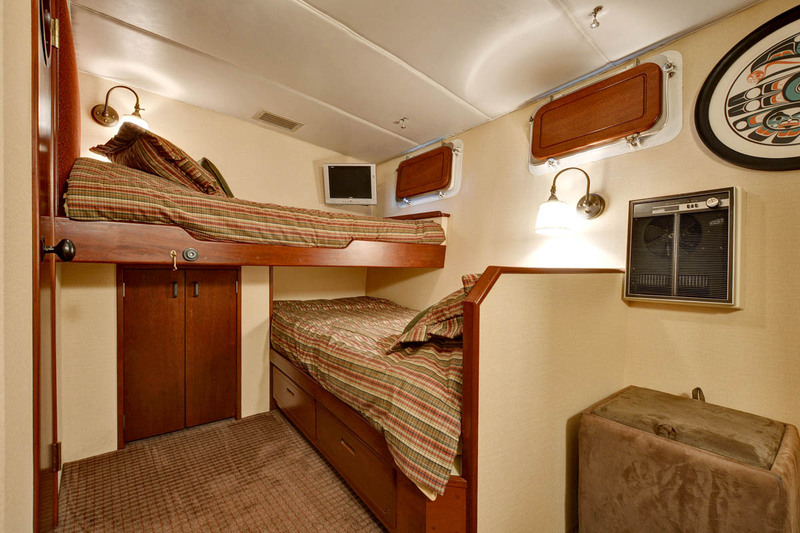 Premium hotel grade memory foam berths assure guests a comfortable nights sleep. 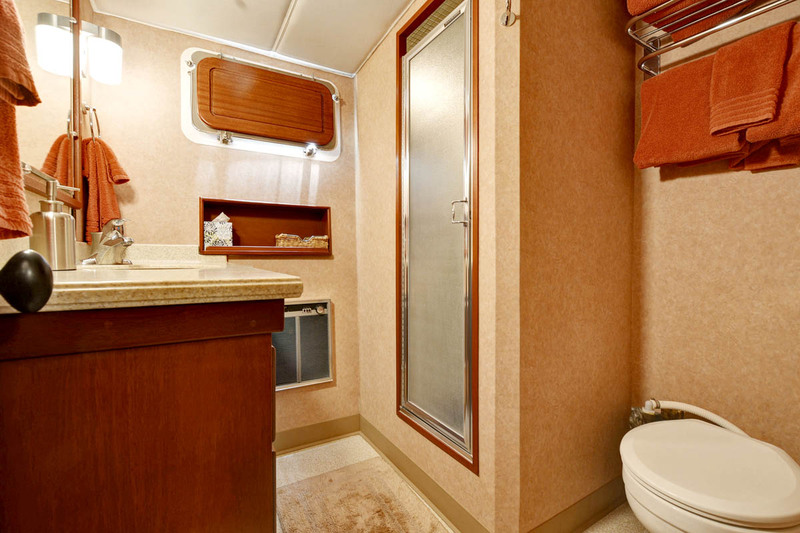 The Master stateroom accommodates a custom king-size berth. 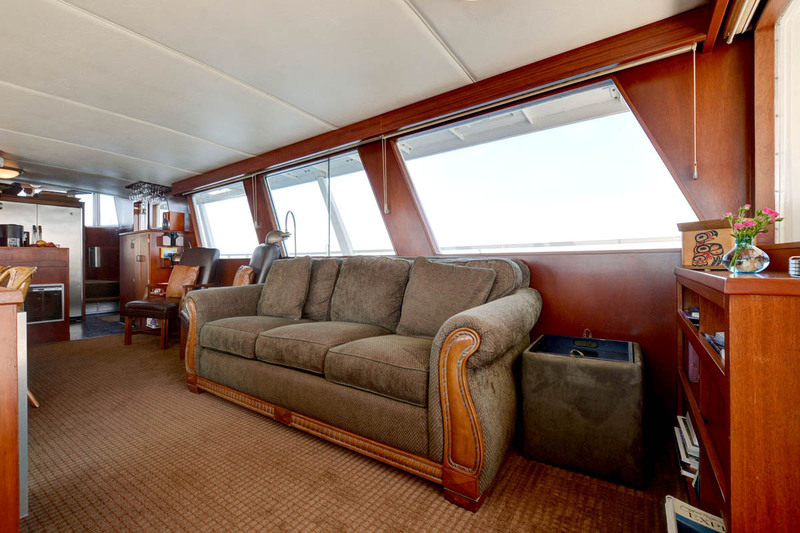 The very comfortable main salon is tastefully decorated with richly finished fine mahogany throughout as well as new carpet and furnishings. 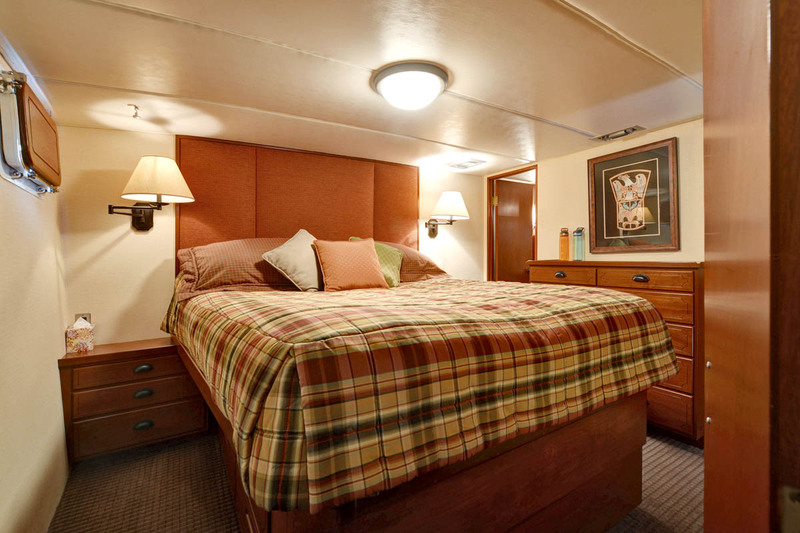 Newly installed Hunter Douglas Roman shades, mahogany valences, lamps and bookcase accent the main salon. 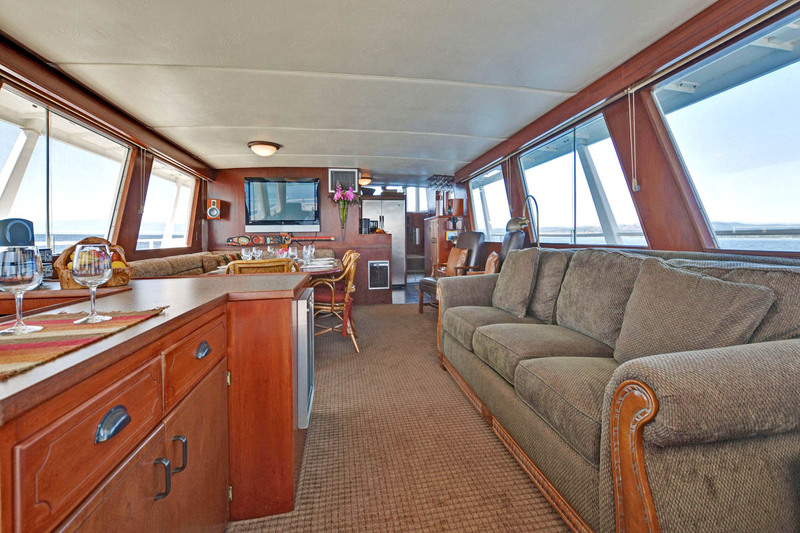 Guests will enjoy the main salon, dining area and galley all on one level, with huge viewing windows. 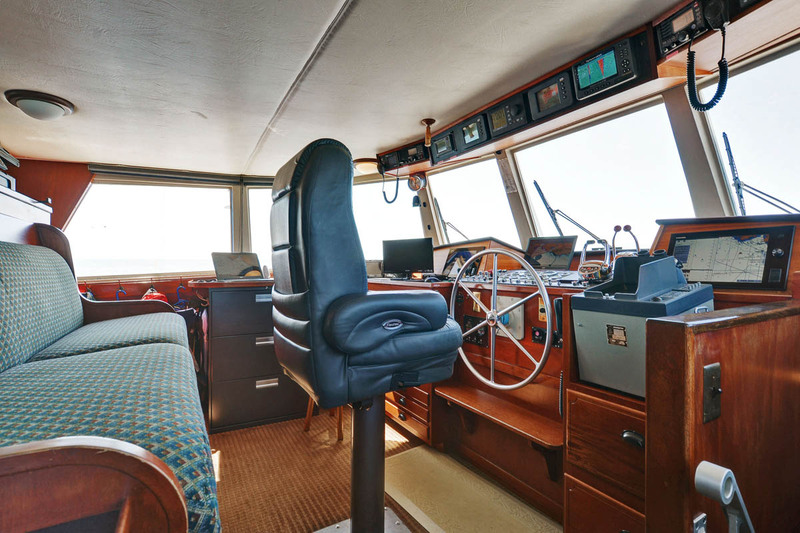 The elevated pilothouse, Portuguese bridge and raised aft deck are comfortable spaces for resting, reading and viewing. 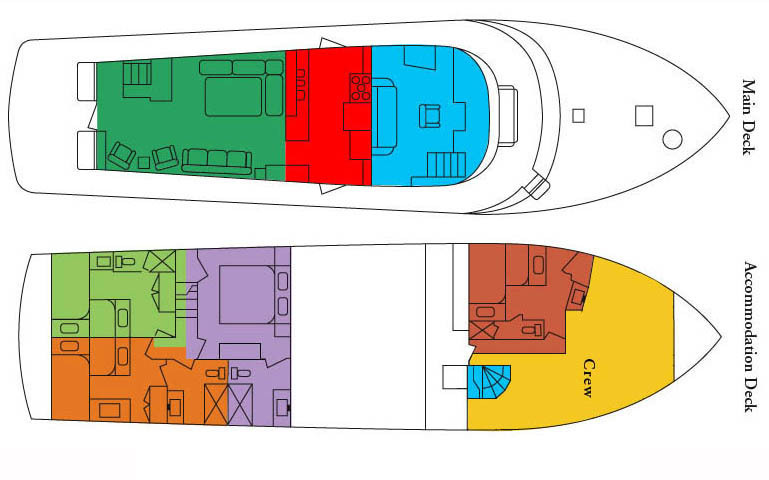 Covered wide walk-around decks surround the entire main cabin. 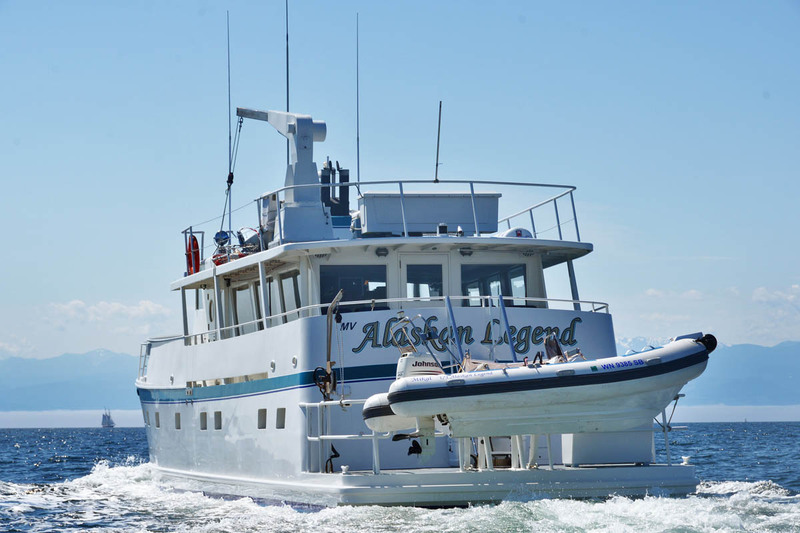 ALASKAN LEGEND has a "swim step" large enough to accommodate photographers and fishermen and makes easy boarding into the two new rigid bottom inflatables. 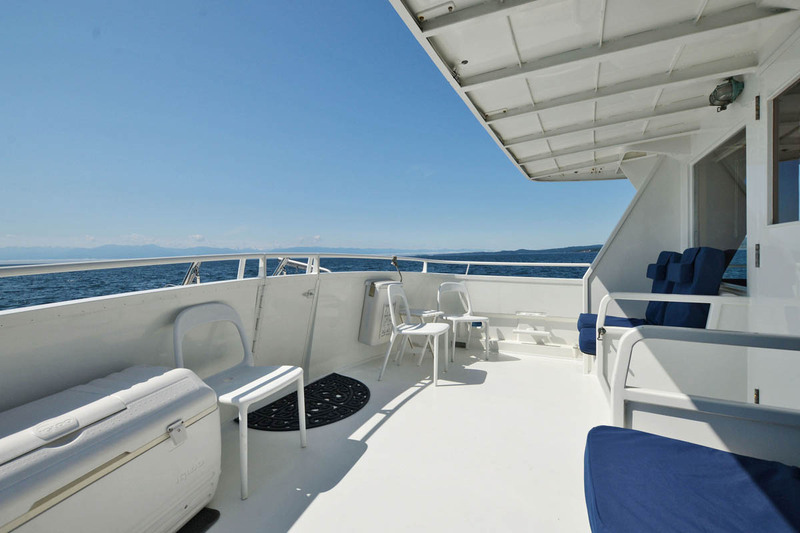 The extra large bow deck area is also well set up for photographers and watching whales or Dall's porpoises. 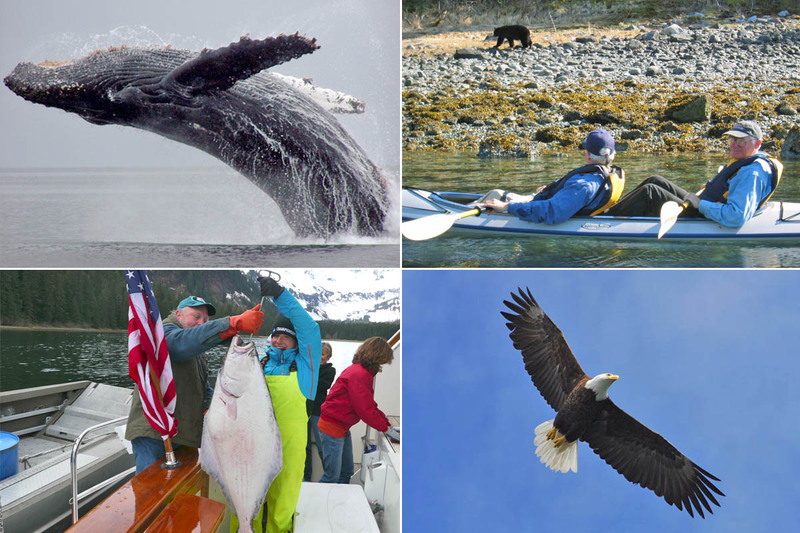 ALASKAN LEGEND carries four kayaks: extremely stable, easy to access Ocean Kayak 2-person sit on top (new 2019). 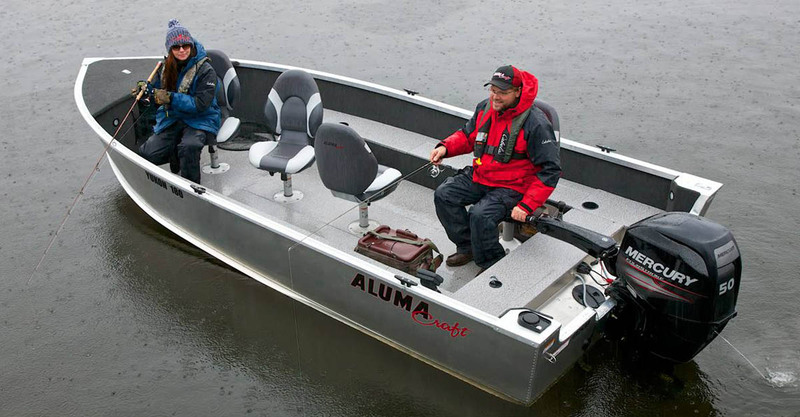 A new 18’ Lund sport boat with 60hp Yamaha outboard motor gives easy access in and out when going ashore. 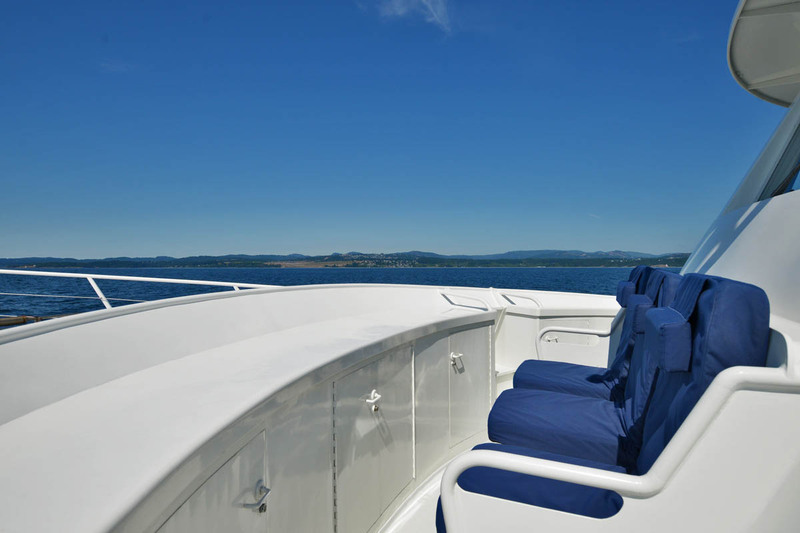 The yacht is outfitted with computer-controlled hydraulic stabilizers and the latest safety equipment available. 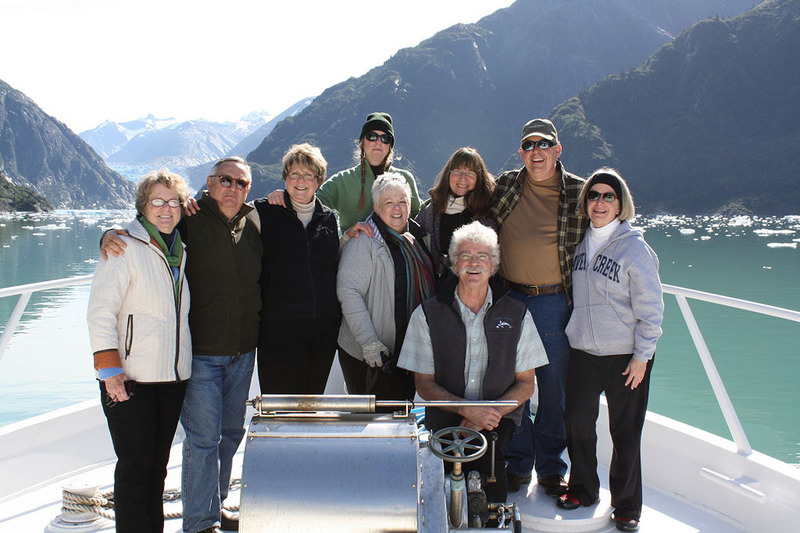 Whether you are a family, a group of friends, or enjoying a corporate retreat, with four sumptuous cabins each with private bathroom and shower, you'll find amenities and more to assure you'll enjoy the finest Alaska cruising available. 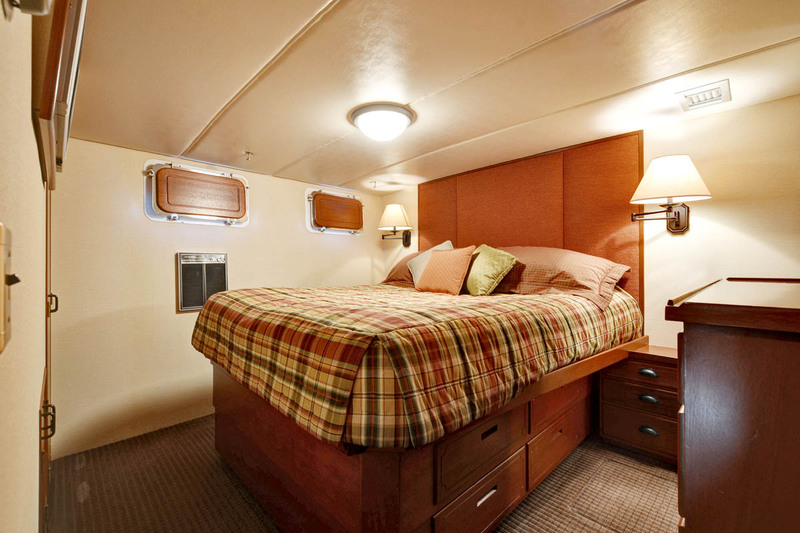 • Hydraulic bow and stern thrusters by American Bow Thruster. 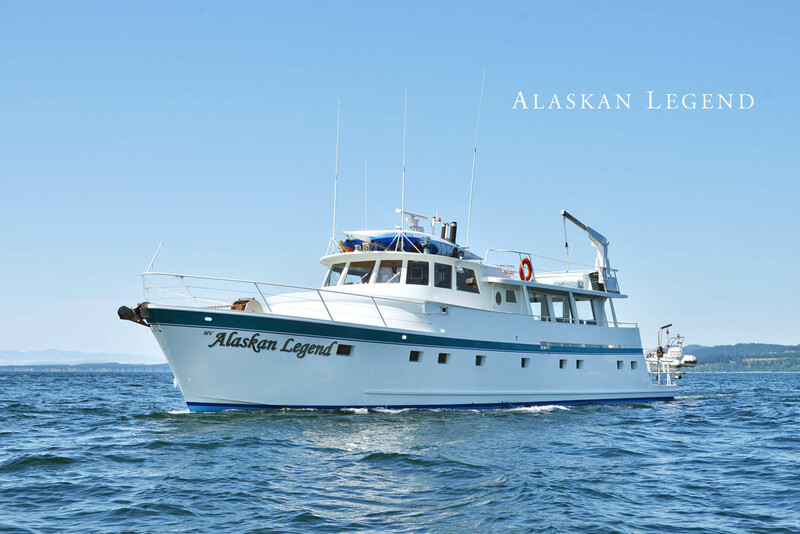 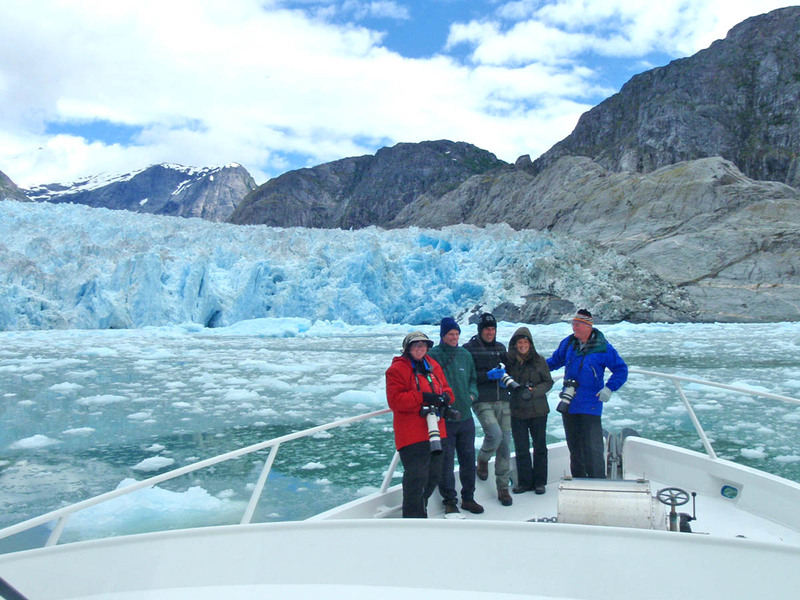 Your charter on ALASKAN LEGEND includes 4 crew: Captain, Chef, Mate and Stewardess. 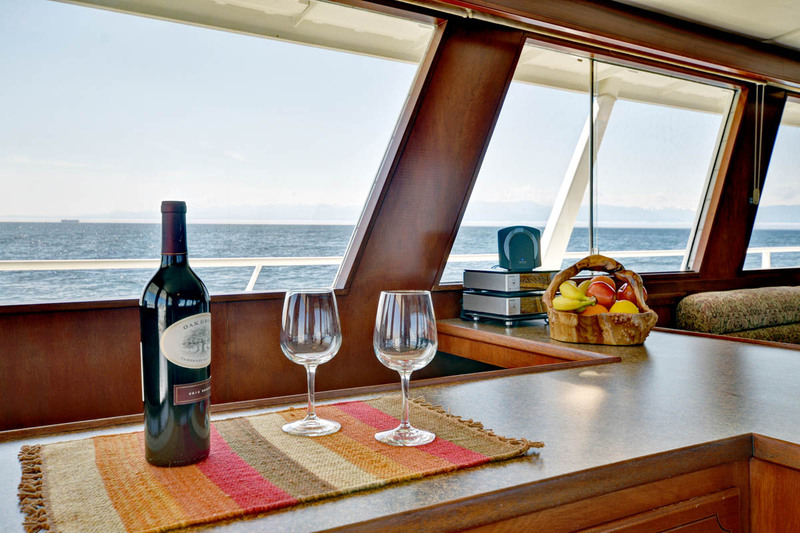 Includes: yacht, 4 crew, fuel, meals, beverages, beer and house wines. 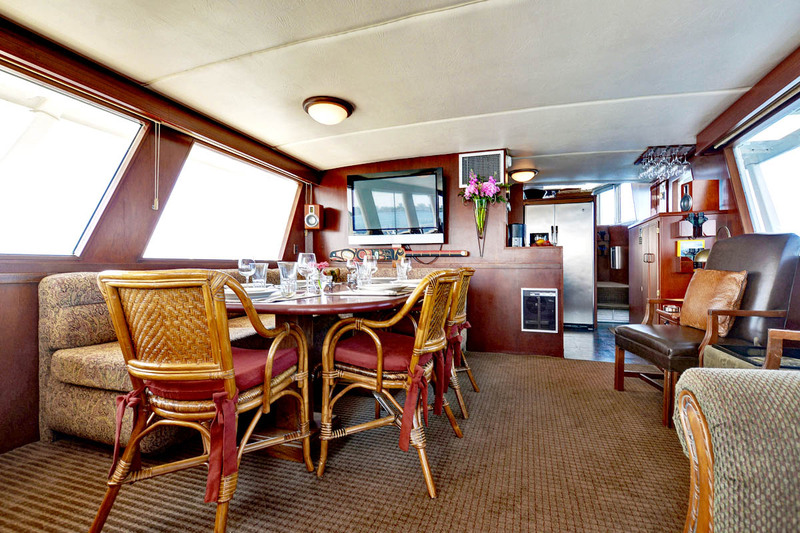 Customary crew gratuity at your discretion (15% advised for a stellar experience), hard liquor, and fishing licenses.